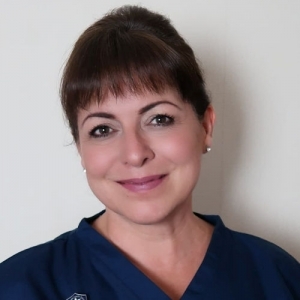 Hi, my name is Tracey Goodwin and I’m a qualified Foot Health Practitioner Walsall and a member of the Alliance of Private Sector Workers, an accredited register that is independently vetted and approved by the Professional Standards Authority. Like to know more? Follow this link to learn how my services differ from that of a Chiropodist or Podiatrist. When it comes to looking after feet, experience has taught me that there isn’t a “type” of person who suffers. At some point we are all likely to have some issue whether it be a touch of hard skin, corn or a blister, we are all susceptible. And as we mature and become less able or flexible, the need for a little help in the foot department becomes even more important. Like to know more? Follow the link to my “About Me” page. See you there. Based as a Foot Health Practitioner Walsall, I provide a mobile foot care service covering most of the West Midlands. 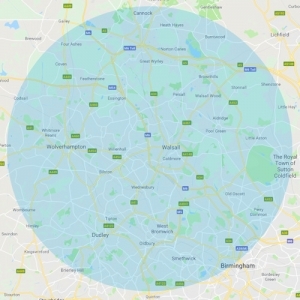 To the north, I travel as far as Cannock, to the west Wolverhampton, to the east Sutton Coldfield and to the south Quinton. Please call for availability outside of these areas on 07981 991825. I can also be reached through Facebook Messenger, click on the link above.